St Martin is located in the heart of the Caribbean Arc. It is north of Barbados, St Lucia and Antigua and south of the British Virgin Islands, the Dominican Republic and The Bahamas. It is a stunningly beautiful and chic island and home to 36 gorgeous white sandy beaches and the largest lagoon in the Caribbean. St Martin is also unique in that it is the only Caribbean island that is shared by two different nations – the French and the Dutch with a handful of signs and monuments to tell you which side you are on. • 36 Stunning white sandy beaches and turquoise sea with those on the French side being clothing optional. • Over 300 restaurants offering French, Creole and other world cuisines. Some of them world famous. Air France arrives daily from Paris with superb food, wine and champagne. • Anguilla and St Barts which conveniently located nearby offering a fantastic opportunity for day trips. • Exciting nightlife with some chic nightclubs and casinos. • For the adventurous, a visit to Pic Paradise is a must. Here you will find the highest point of the Island with stunning views of the turquoise waters and surrounding Islands. Once at the summit, there is a wonderful nature reserve called Loterie Farm and an adventure park called Fly Zone featuring zip lines and other thrilling challenges. • Marigot the capital of St Martin is also worth a visit. It has a wonderful French feel with elegant boutique lined streets, restaurants and outdoor cafes. • Water sports – St Martin is heaven for water sport lovers with most of the main beaches having water sport centres offering surfing, windsurfing, wakeboarding, jet skiing, kite surfing, water skiing, kayaking sailing and deep sea fishing. The weather, water and air temperature which average between 77 and 84 Fahrenheit provide ideal conditions. • Deep sea diving is also wonderful in St Martin with the water being clear and warm and perfect for exploring the local marine life. • The largest open-air market in the Caribbean located in Marigot where more then 100 stands await. Here you will also have an opportunity to meet the local ladies whose charm, humour and kindness will captivate you. • Grand Case village is definitely worth a visit. The main street is filled with French restaurants and the village is aptly named the gourmet capital of St Martin. The village is full of character with a lovely old fishing village atmosphere. It is little wonder that this beautiful island is also one of the most visited of the Leeward Islands in the Caribbean. 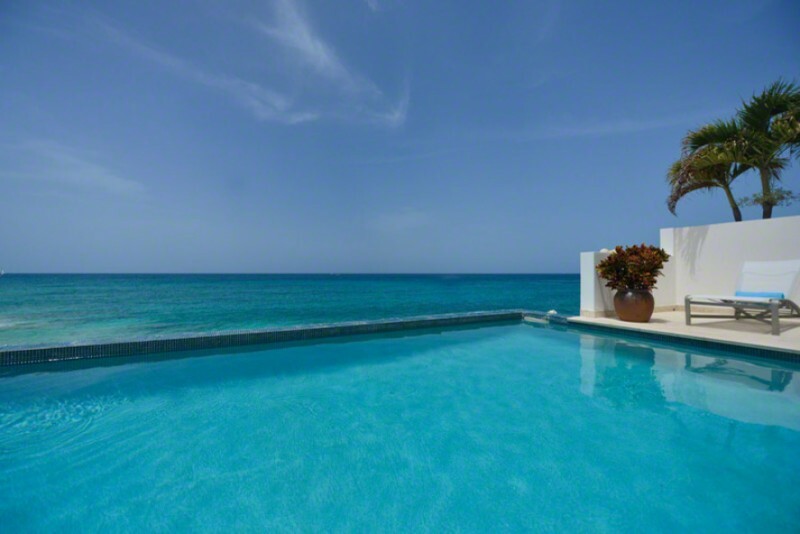 If you are looking for a luxury vacation to St Martin, we would be more then happy to recommend it. Exceptional Villas offers only the absolute finest private luxury villas on the Island. Many include private pools, housekeepers and incredible chefs. Whether you are on your honeymoon, part of a large family group or just looking for a peaceful retreat with friends, St Martin has it all and you won’t be disappointed. Philipsburg and Marigot, the capitals of the Dutch and French sides are the main duty free shopping areas. However the entire Island is duty-free and no paper work is required. There are great bargains on handbags, shoes, alcohol, cosmetics, jewellery and electronics. The French side is also renowned for its luxury goods and fashion boutiques. The best shopping Mall in St Martin is The Blue Mall located in Cupecoy. The mall has been recently built and offers a wonderful selection of designer shops and boutiques. For more information you can visit the Blue Mall Website. Le West Indies Mall on the Marigot Waterfront is worth a visit with its spacious air-conditioned shopping area offering many well-know designer shops as well as fine restaurants. The Centre of Marigot also has some wonderful unique boutiques that are worth a visit. If you are looking for local crafts and gifts the Marigot local market is worth a visit to pick up a bargain. Dutch side: Netherlands Antilles Gilder with UD Dollars widely accepted. St Martin is one of those unique places in the world that enjoys wonderful weather year round. In the summer which is traditionally the low season, the temperatures are still in the eighties with a lot less rainfall then you might expect. St Martin enjoys over 3,000 hours of sunshine each year with a balmy tropical climate that is cooled by constant sea breezes. Temperatures in St Martin rarely exceed 90 degrees at any time of the year and the nights are also wonderfully warm with temperatures only dropping by about three degrees. January to June are the driest months but when it rains in St Martin, it tends to do it in short bursts and the sun is often just around the corner. A hot, tropical climate tempered by cooling Trade Winds. Temperatures remain high year-round. These figures show St Martin monthly average maximum temperatures and monthly average rainfall.